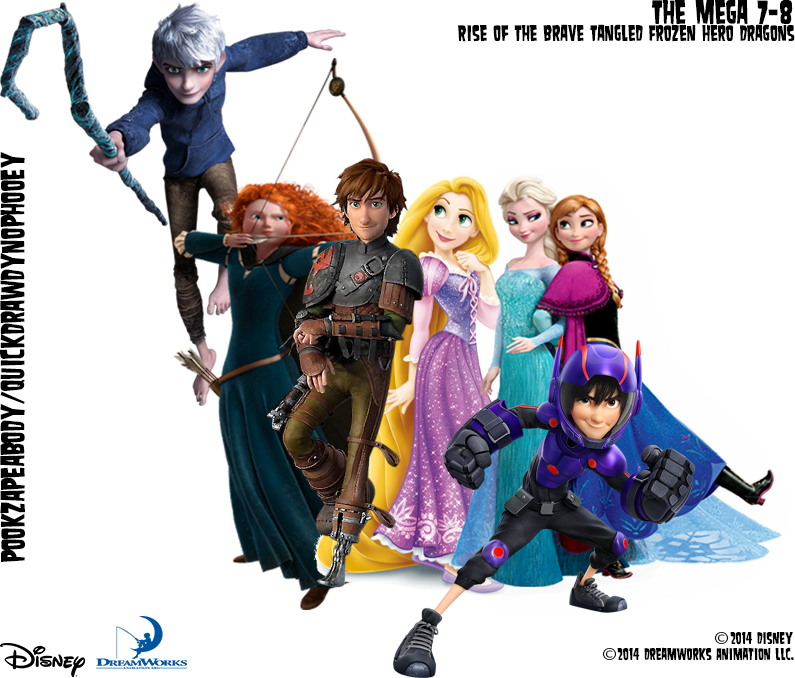 The Mega 7 (Rise of the brave tangled Frozen Hero Dragons). My Crossover Group that I made on my own. Visit rotbtfhd.blogspot.com!. 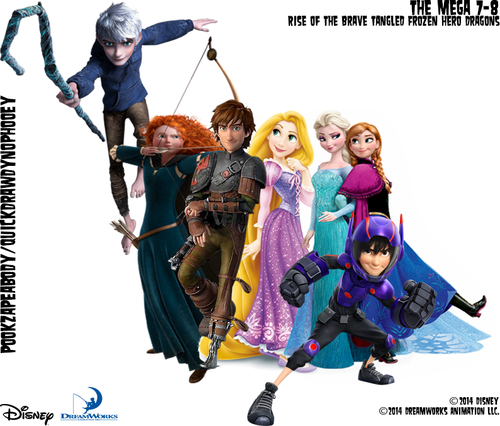 HD Wallpaper and background images in the disney crossover club tagged: photo mega seven rotbtfhd jack frost rotg merida brave rapunzel tangled anna elsa frozen hiro bh6 hiccup httyd.